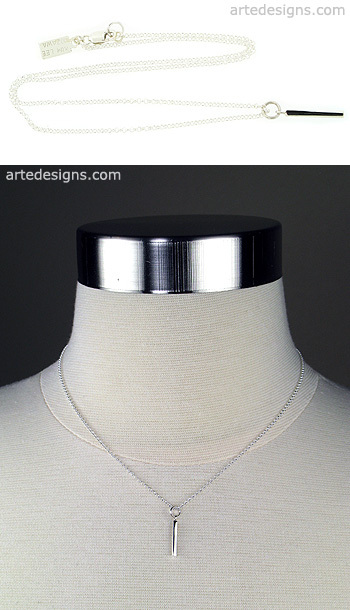 Looking for a simple necklace that is modern and edgy, but understated? This tiny bar necklace with just a sliver of silver is just what you need. Wear it alone or layer it with other necklaces. Total length of the bar is approximately 1/2 inch long. Choose a 16 or 18 inch sterling silver chain with a lobster clasp. Please contact me if you want a longer length chain.